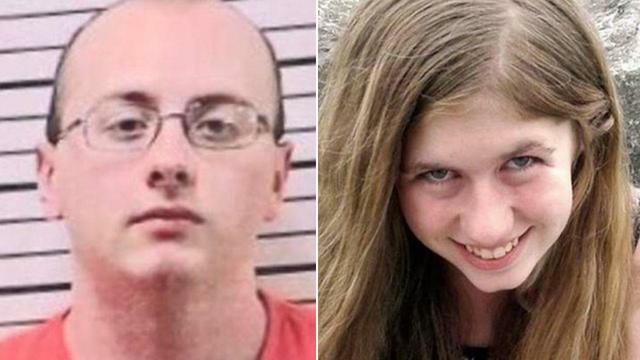 Jayme Closs, the missing Wisconsin teen who was found Thursday, helped authorities track down her captor, they revealed Friday. The 13-year-old girl was nowhere to be found when authorities discovered her parents' bodies at their home in near Barron on Oct. 15. On Thursday, Closs approached a woman who was walking her dog in Gordon, Wisconsin, and told her, "I am Jayme Closs." "I recognized her immediately," Jeanne Nutter told Inside Edition. Nutter added, "I did ask her if the alleged perpetrator was home. She said no. I said, 'He was in a car?' She said yes." She took the teenager to a nearby house where schoolteacher Kristin Kasinskas lives with her husband Peter. They say Jayme looked skinny and her hair was matted. "She looked weak, tired, looked like she'd lost 15, 20 pounds from the original photos we'd seen," Peter Kasinskas said. Police responded within minutes and Jayme gave them a description of her kidnapper and his vehicle. Cops soon found 21-year-old Jake Thomas Patterson in his car and arrested him. Patterson lives in his family's home just a quarter of a mile from where Jayme was found. He has no criminal record and neighbors describe him as a recluse. Jayme is believed to have been held captive in the home. Incredibly, Kristin Kasinskas taught Patterson when he was in middle school. "Nice kid, quiet kid, smart," she said. "I don't know exactly what happened after school." "Did she tell you anything about her time held captive?" Inside Edition's Steven Fabian asked. "When he had friends over, he would hide her somewhere so they didn't know she was there," Peter Kasinskas said. Authorities and volunteers had been searching for Jayme for months. After her parents were shot dead, Jayme was kidnapped, authorities said Friday. "Jayme was the target," said Barron County Sheriff Chris Fitzgerald at a press conference Friday. "The subject planned his actions." Patterson is expected to be charged with two counts of first-degree murder and one count of kidnapping, police said. After he was pulled over, he surrendered peacefully, Fitzgerald said. Formal charges are expected to be filed against Patterson next week. After charges are filed, he will appear in court. On Friday, Jayme underwent medical and mental evaluations, spoke to law enforcement and was scheduled to be reunited with her family. After she was found, there was an outpouring of joy in her hometown. "My legs started to shake - it was awesome!" Fitzgerald said. Nutter, the woman who took Jayme to safety, called it "crazy." "I just happened to be in the right place at the right time," she said. "It's like a damn miracle."